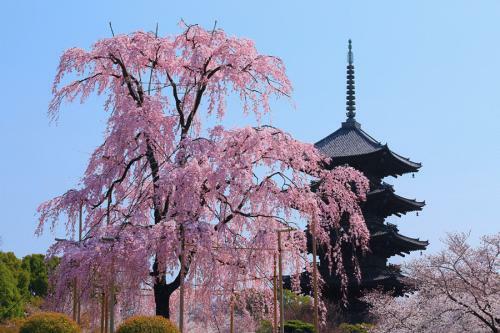 Cherry trees at Toji Temple. It is getting sunny in the afternoon. I feel that spring is coming next to us. I imagine that our customer leaving just after we opened enjoy cycling in this calm weather. As I wrote previous blog, there is now " Light up" of Sakura in the evening at Toji Temple. Toji Temple is registered as a World Heritage Site, which is located only about 5minutes by bike from Rental Bicycle FUUNE. 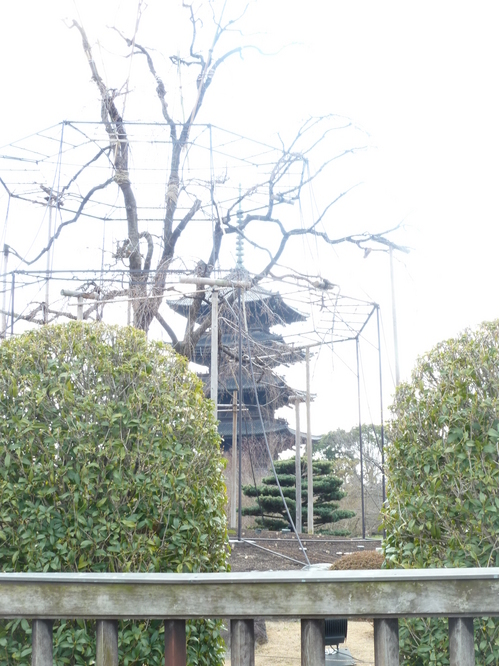 The tree in front of the five-storied Pagoda is cherry tree. I could see many cherry buds, but it takes more time to bloom. 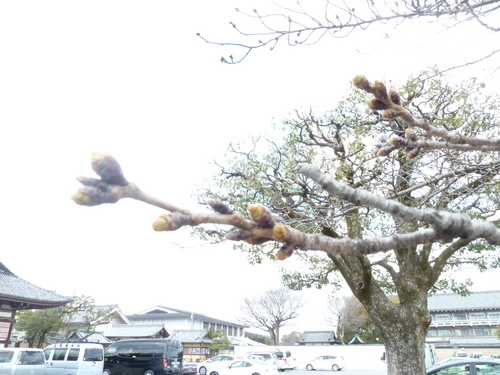 Usually, around the begining of April is the best time to see cherry bloosoms. Around the period, this cherry tree is going to be like this!! On the way back, I dropped by Umeko-ji Park where there are lots of cherry trees as well. I could see pink petals in the buds a little. Maybe the best time of cherry blossoms is earlier here in Umekouji Park than Toji Temple. There are many fascinating places of cherry blossoms in Kyoto. First, you get bikes at Rental Bicycle FUUNE and start visiting many places you like. This is the best way to enjoy Kyoto, we recommend.